❉ Rob Morris reviews Dusty Springfield’s PSB-enhanced 80s comeback album, given a luxurious reissue treatment by Cherry Red. It was a reasonable answer: they’d battled record company pressure to use other vocalists, believing her distinctive vocals would sound electric on the record. History, of course, proved them right and the #2 hit propelled the 60s icon back into the public eye with her first big success for twenty years. A full album solo wasn’t immediately forthcoming, however. It took a couple more modestly successful singles – again produced by Pet Shop Boys – before work would begin on a new LP. Nothing Has Been Proved (UK #16) – part of the soundtrack for Scandal, a film chronicling the 1960s Profumo affair – was perfect for her, and there’s a pleasing symmetry about Springfield relating events that happened as she rose to fame. The next single, In Private (UK #14), found Springfield playing the part of a mistress challenging her lover’s plans to continue their recently exposed affair. Given the subject matter it’s unsurprising that it was also intended for Scandal but this track didn’t make the soundtrack, instead being released on its own terms at the tail end of 1989, and providing Springfield with another UK hit in the process. Springfield believed it was the general success of In Private across Europe, however, that convinced the powers-that-be she was still marketable and so it was that work finally began on Reputation, her first studio album in 11 years. Now, 26 years later, it has been reissued by Cherry Red in an Expanded Collector’s Edition, allowing listeners a chance to re-evaluate the original album and enjoy – or not – a plethora of mixes and bonus tracks. There are conflicting reports as to whether the obvious approach of having Pet Shop Boys produce the whole album was considered, but in any case they were about to embark on their first live tour – the Derek Jarman-directed Performance – and didn’t have the time, so duties for the A-side were handed to other producers and writers, with Pet Shop Boys producing the five tracks for the B-side in its entirety. Frankly it’s the better half as well; comprised of her two recent hits, two new songs and a production of the Goffin/King song I Want to Stay Here as another nod back to the 60s. Of the two new Tennant/Lowe compositions Daydreaming is classic Pet Shop Boys, with rapped verses and a melodic chorus delivered over an appropriately languid backing track. It’s the final cut Occupy Your Mind which surprises most, however; a near 7-minute techno track which, if Tennant had taken on the minimal vocal duties, would fit seamlessly on the PSB bonus disc for Very: Relentless. But while the Pet Shop Boys side is the strongest, that’s not to say the other half is weak. The title track, for example, is a distinctive, catchy number that more than justifies having the album named after it and was an obvious choice for a third single, sadly only peaking at #38 in the UK. Another standout is Born This Way, regarded by some as the closest Springfield came to a coming-out song. Interestingly a clip of the 12” mix of Springfield’s track – remixed by PWL stalwarts Phil Harding and Ian Curnow – was posted to YouTube as an alleged leak of Lady Gaga’s otherwise unrelated 2011 hit prior to its release. The hoax was quickly refuted, but there are some striking similarities between the two tracks, and the remix stands as a highlight of this collection in its own right. Of the other tracks, Send It To Me was apparently Springfield’s personal favourite, but its simple melody and lyrics are almost too guileless compared to the other songs. Time Waits For No-One and Arrested By You – the latter of which barely bothered the charts as a single – are pleasant enough, but only make the grade because of Springfield’s vocal talents. On top of the original album, the reissue also includes three rejected songs which first saw the light of day on a 1997 reissue; of these only the charming ClimieFisher penned When Love Turns to Blue stands out, with it being easy to see why the others didn’t get a look-in. Inevitably for an album of this era the singles came with a number of remixes which have been dusted down for this collection. Marshall Jefferson’s ‘Dance Version’ of Nothing Has Been Proved is surprisingly lacking in danceability, but thankfully Shep Pettibone works his magic on some delightfully punchy mixes of Reputation and In Private, with the former’s ‘Lots of Fun’ mixes more than living up to their name. That said, stripped of Springfield’s vocals and other instrumentation, the ‘Dub’ and ‘Bonus Beats’ versions of In Private outstay their welcome very quickly. Rounding out the set are a couple of alternative mixes and the instrumental for Nothing Has Been Proved and an accompanying DVD contains promo videos for all the singles and a fun – if slightly baffling – animated video for I Want to Stay Here. If there’s anything disappointing about this release, it’s that the instrumentals for In Private and for Arrested By You aren’t included. Presumably there either wasn’t room, or the masters were damaged, but their exclusion slightly undermines the claim that this a “fully expanded collection”. That niggle aside, though, there isn’t much to fault with this release. Cherry Red have turned out an exceptional reissue of a great album, with a largely rich seam of mixes, videos and a meticulously detailed booklet. 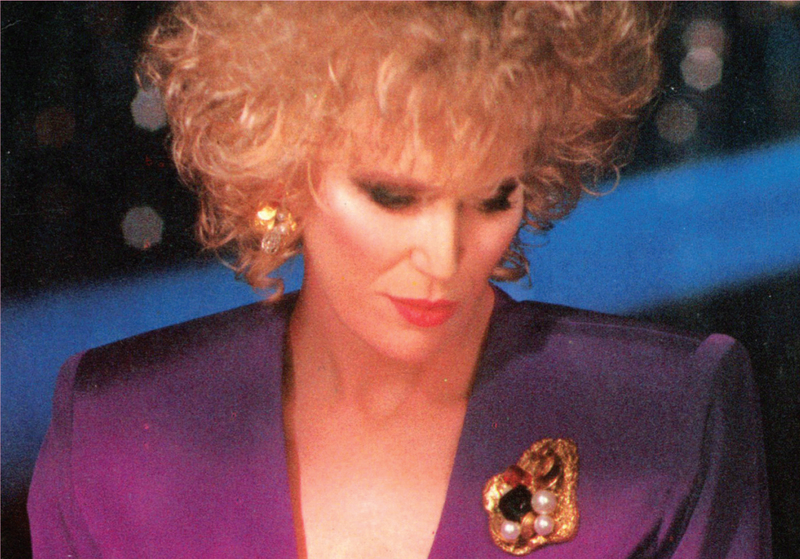 As a result, Dusty Springfield’s Reputation still stands tall. ❉ Reputation is available now from Cherry Red Records. Dusty’s best album. A good companion piece to Liza Minnelli’s Results. Hi, thanks for visiting and your comments! Love your blog! Thanks James, this one will be getting plenty visits from me. Great variety in all the categories.